I'm so sorry about your loss. As an animal lover, I completely understand how devastated you must be. Keeping you in my thoughts and prayers. I'm so sorry to hear about Rocko. A friend, a companion, a gorgeous fur ball. I understand your pain and send virtual hugs. Congrats on 12 years. That's truly impressive. So very sad about your cat. I have a daughter, but love my dog (my first). She has been with me through these last very challenging years and I'll miss her when the time comes to put her to sleep too. Take care of yourself as you grieve your loss. Awesome that you have been blogging so long. I've enjoyed the connections I've made over the years too. But I've got years of blogging to catch up with you. So sad about Rocko. She was robbed of her full nine lives. Diane, I do understand your pain. Our doggie has been gone for several years and is still missed. So so sorry. I'm so sorry to hear about Rocko. Take care. Twelve years! That's pretty great. Happy Blogivesary. 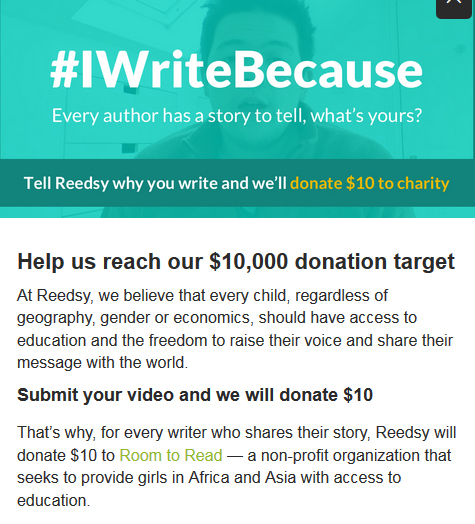 I will spread the word about #IWriteBecause. It's too bad it's just video though. Oh Diane... how well I understand how empty your home must feel. I'm so sorry. It's hard to see our fur babies grow sick and weak. At least you know they had a good home and were well loved. 12 years of blogging! Wow, I'm impressed. This is the second time I've heard about GFC being phased out and I don't even know what it is! 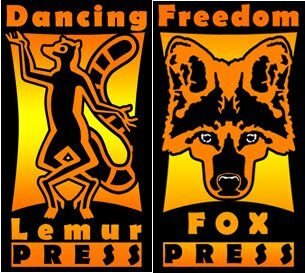 I'm also happy that Dancing Lemur Press is expanding. Congratulations. I'm sorry. When we lost our cat two years ago, it was also very weird. Cats are quiet pets but somehow without her the silence in the house was deeper. I kept expecting to see her everywhere. Sorry again. Lynda, she was a gorgeous little fur ball. I can't believe it's been 12 years either. Natalie, thank you, and you've established your blog very well. Alex and Karen, thank you. Holly, thank you. If it had been just a photo, I could've done it. Bish, she had a great home. 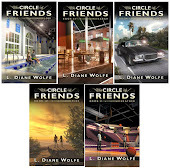 GFC = Google Friends Connect. Susan, you know exactly what I mean. It is too quiet and I see her everywhere. I'm so sorry. Take gentle care and be good to yourself. I am sorry for your loss Diane, it's always sad losing a creature, so terribly sad. An elderly nun near where I work lost her cat recently, blackie was old and wouldn't harm a fly, so friendly but slow. One day the little mite walked up to me and I was amazed, tickled pink really except I had no food and blackie was hungry so he went back to the convent. 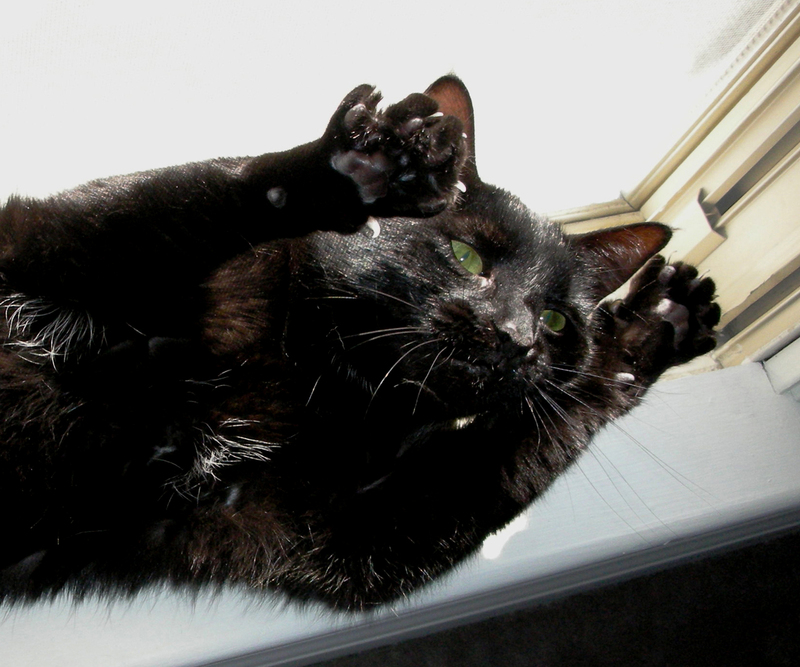 To cut a long story short Blackie was murdered by a dog across the road from the convent. Good news and bad. I'm excited about the Reedsy promo, but very sorry about Rocko. I'm without cats for the first time, too. Kind of lonely and weird. Congrats on 12 years. Blogging sure has changed indeed. Sorry to hear about Rocko. Never easy indeed, especially when it is sudden. Poor kitty. It's so hard to lose them and I want to cry at the thought of it. Lots of hugs to you. Congratulations on your Lemur Press update, Diane! Big undertaking! So sorry about your kitty. :-( They say we get through it, but never over it. Nice work on the expanded e-copies (I bought How to Publish and Promote . . . tonight!) and happy blog-aversary. I'm so sorry for your loss. Our fur babies are family and mourning takes time. Hugs. Diana, sorry for your loss, our pets mean the world to us. It was losing my old dog many, many years ago I came to write my first poem so I guess Sheba's memory lives on through each poem I write. Congrats on your 12 years of blogging and all the great things going on with Dancing Lemur. But my heart continues to hurt for your loss. The fur babies are members of the family and such a huge part of our lives. So sorry about your dear cat. Blogging for 12 years -- wow, that is a long time! The sad downside of growing to love our pets is losing them. We have a dog and a cat now, and I can't even imagine life without them. My heart goes out to you. Oh, Di, I am so very sorry. I feel your pain. God bless, Rocko. We lost Kayla last August (Sharknado Day) and we've been catless since. It's very odd. Hugs to you. Oh no! I saw your post about her blindness, but had no idea she'd passed away. I'm so, so sorry. This is heartbreaking. I am so sorry about your precious kitty. Perhaps one just as special will find its way to you! Congratulations on the 12 year anniversary of your blog. Sorry to hear about Rocko. We have five cats, and I dread the day when we start to lose them. I try never to take their time with us for granted. I am so sorry about Rocko and your other fur babies. I understand. They are part of our family, and without them, a member is missing. Congratulations on your blog anniversary, and all the other good things happening. So sorry that you've lost your fur baby, L Diane. Rocko will be sadly missed. I'm sorry to hear about Rocko. I'm sure this must be a rough time for you. Please take care of yourself. I am so sorry to hear about your loss. Pets bring us so many cherished memories. I wish the best for you and your family. So sorry to hear about your loss. Pets really do become like our children - at least, that's how we feel about our dogs. I have to say congrats on your anniversary. That's an amazing length of time! First, let me start by saying congratulations on twelve years. Wow! That's a very long time. Also, thank you again for your help. You're so kind. I'm so saddened to hear about Rocko. I understand your pain. Pets really are a part of our family and when one isn't there anymore, there is an emptiness in the house. I'm so sorry you're experiencing that loss now. I'll hold you in my heart. I am so, so sorry for your losses of kitties. It's so hard. We lost our big boy Colby last year and I still tear up at pictures of him. Animals have such a way of crawling into our hearts and claiming a bit chunk of them. Spacer Guy, that is just so sad. Lee, it is very weird. Yvonne, Rocko will live on in all the photos I took of her. Patricia, thank you, and we hope to get both a cat and a dog in the fall. Mary, it is just so odd and quiet. Denise, I hope we continue to do so. Our furbabies are canine rather than feline but I understand the pain of losing a member of the family. I'm very sorry for your loss. I hope once you've begun to heal a bit that you'll find a place in your heart and in your home for another baby. There are so many out there who are desperately waiting to be loved. So, so sorry to hear about your Rocko. After losing two senior kitties to kidney issues, I know how hard this can be. (And now my senior Mr. M has thyroid problems, so I'm spending extra time with him.) I hope you have the chance to get fur on your keyboard again when you're ready. 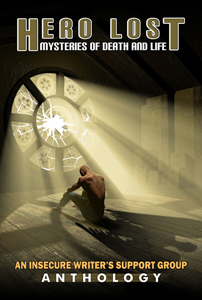 I'm interviewing Sarah Foster about her Hero Lost short story over on my blog today. So sorry about your kitties. 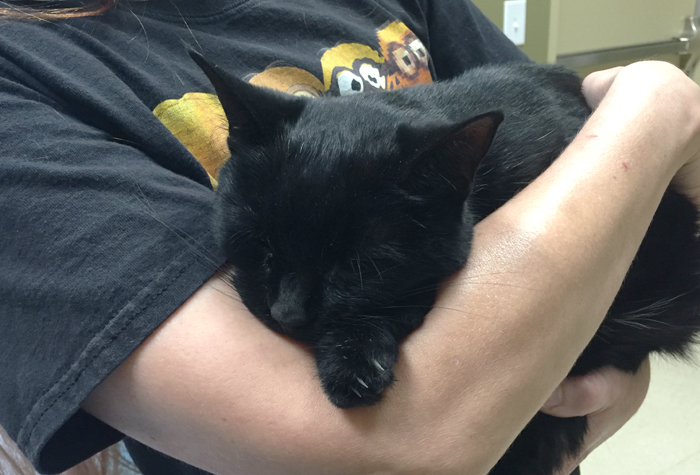 It is challenging to lose such beloved fur babies. Congratulations on 12 years of blogging! Your blog was a good example for me back when we connected in my earlier blogging days (and it still is!). Have always appreciated your support. I'm so sorry, Diane! Rocko really does look like she could've been a twin of my Rosie. I don't have children. My four fur babies are my kids. So I understand that 100%. I'm sorry for your loss. It's never easy putting an old friend to sleep like that. 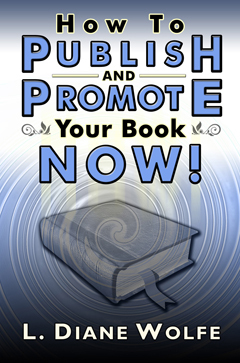 Congratulations on ebook distribution deal--hope that really kicks things off in even more success than you've had. Good to hear that you plan to keep your blog going. You're so right about the changes--they've been rapid changes. Sometimes I long for the way blogging was a few years ago, but things don't stay the same and hopefully keep improving. Sometimes I question that the latter has been happening, but blogging is still an evolving form. Sorry about the loss of Rocko. Sorry about your loss. Its always hard to lose a loved pet. I'm sorry about your kitty. What a lovely life he led with you. Good luck with the new e-book partner! Yay on the new distributor and the update on your wonderful book. Sorry about your precious kitty. I know how hard it is to lose a loving pet. I was heartened to hear about your faith in blogging. I've been lax about visiting others with so much on my plate and I thought blogging was waning. But it was probably just me! All the best with your new book. And so sorry about the loss of your beloved pet. My heart goes out to you. I don't have kids and about a year and a half ago I lost my dog, cat, and bunny within a couple of months of each other. It was the first time in my life I didn't have my pets to keep me company and for me to take care of. After a few months I ended up adopting two kitties who needed a home. It is so very hard to love and lose pets. Sending hugs! I saw on FB and am so sorry about your cat. I know how hard it is to lose an animal family member. Happy anniversary on your blog. Blogging has changed so much! It's really crazy. I'm so sorry about Rocko. Sending virtual cheese hugs. And happy blogoversary! You've got my 9 years whooped by a good margin. Congratulations on your blogversary! Twelve years is a long time. I'm glad blogging has changed to make it easier to find and follow each other. I'm so sorry about Rocko. It's hard to lose a pet! Hugs! So very sorry about your cat, Diane. My mom had cats when she gave birth to me and from then, I've lived with cats all my life (except in college). About 5 yrs ago I lost my last one. I also have no children, so cats were more important to me than to most people. I decided I couldn't take losing any others, so I haven't gotten a new one. But it's easier to have pets in the US than in Egypt (too hot & full of dangerous critters), so I hope you choose to give another cat a good home.